If your child's Halloween costume doesn't include an umbrella and rain boots, you will need a backup plan. 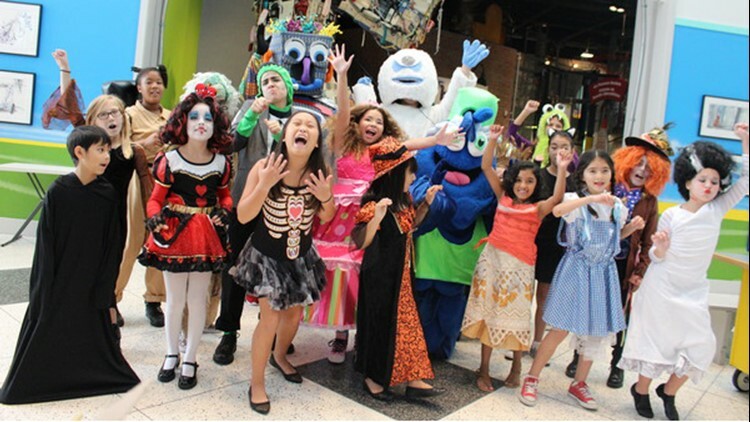 The Children’s Museum of Houston is welcoming trick-or-treaters all day on Wednesday, Oct.31. 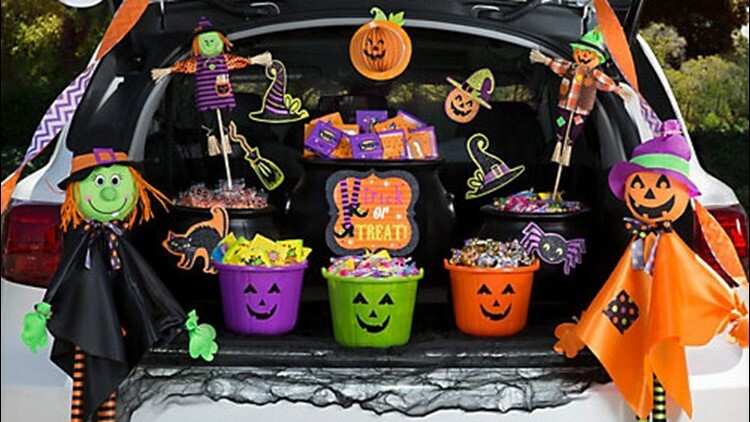 The kiddos can collect candy while hunting for monsters at Monster Mayhem. Then it’s time to let the ghoul times roll by boogying at the Spooktacular Monster Mash Bash, which ends at 8 p.m.
Tickets are $12 for children and adults. The Woodlands Children Museum invites families to the Monster Mash Boogie Bash from 10 a.m. to 6 p.m. on Halloween. The event includes spooky games, art projects, a puppeteer and a musician. Tickets are $4 for members and $10 non-members. Due to expected inclement weather, tonight's Trick or Treat Trail event has been moved inside of the Recreation Center & Natatorium. Due to time and space restrictions, the event will be condensed and will consist of only Trick-Or-Treating from 5:30 p.m. to 8 p.m. Event entrance is ONLY permitted in the rear of the facility. Parking and shuttles will be available at Turner Career and College High School (4719 Bailey Road, Pearland, TX 77581). CityCentre: Trick-or-treating from 5 p.m. to 7 p.m. (rain or shine; bring your own bag/bucket) followed by dancing in the plaza to a wicked DJ. 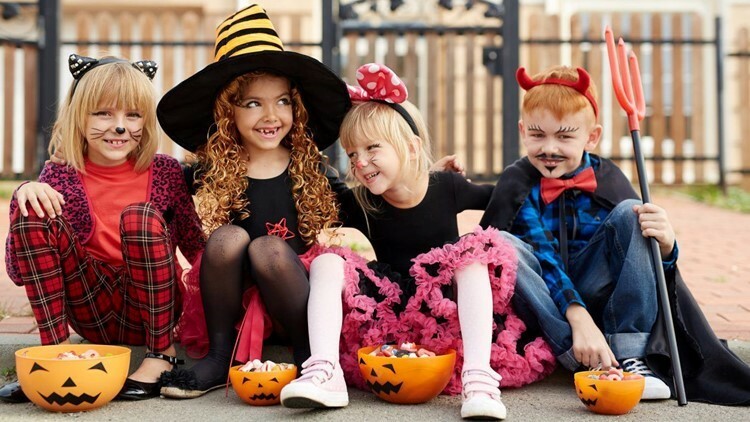 At Memorial City Mall, participating stores will hand out candy to the little ones from 5 p.m. to 7 p.m. followed by a DJ spinning tunes in The Square. San Jacinto Mall’s Malloween is the place to be on Halloween night in Baytown. Area children 12 and under can trick or treat at mall stores enjoy the pumpkin patch. The free event is from 5 p.m. to 7 p.m.
Bass Pro Shops in Katy and Pearland are inviting ghosts and goblins of all ages to their 16th Annual Trick or Treat Trail. The free events include crafts, activities and face painting. They take place nightly from 5 p.m. to 7 p.m. and from 4 p.m. to 8 p.m. on Halloween. Spring Woods UMC in Spring from 6:30 p.m. to 8:30 p.m. No charge. St. John Paul the Second Catholic School in Houston from 6 p.m. to 8 p.m.
Clear Lake United Methodist Church from 6 p.m. to 7:30 p.m.
Friendswood Community Church from 6:30 p.m. to 8:30 p.m. The Harbor Church in Friendswood from 6:30 p.m. to 8:30 p.m.
Did we miss your indoor event? Email us at web@khou.com.